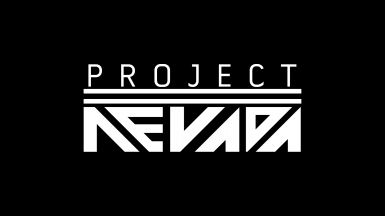 Project Nevada is a mod aiming to make Fallout: New Vegas a more interesting - eventually more challenging - but surely more fun experience for you. 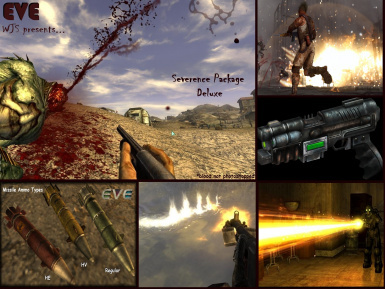 Weapon pack containing 45 professional standard weapons with a ton of weapon mods, leveled list integration and custom sounds. 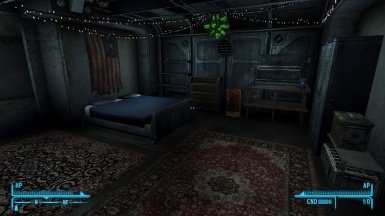 Also includes a custom store with a quest + voiced vendor! 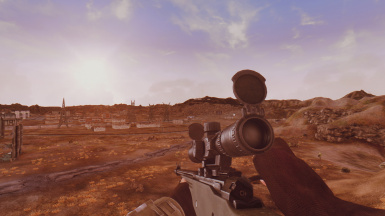 The idea behind this 'mod' is simply to make installing the Weapons Animation Replacers a simpler and more informative process. 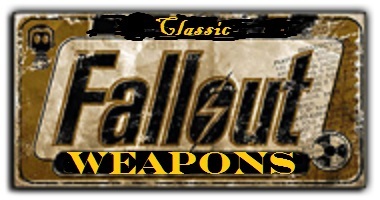 The classics are back, Vegas style, baby! Now modular with support for all DLCs, PN and FOOK. 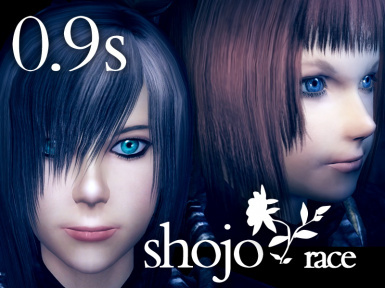 A massive mod that adds an all new story with hours of voiced dialogue, a new world, and multiple branching narrative paths. 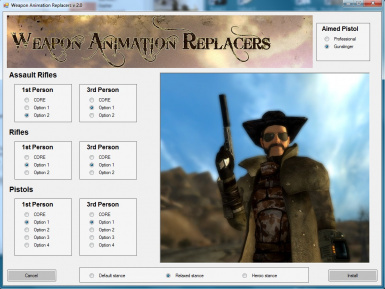 An Unofficial Prequel to New Vegas, launched from your Main Menu. 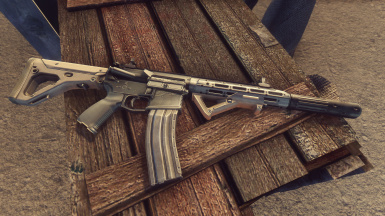 Adds a professional quality, scratch-made Ruger SR-556 with 3 modifications, custom sounds and complete leveled list integration. 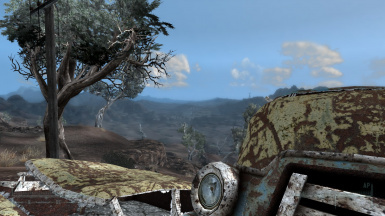 New XRE vehicle engine adding drivable vehicles to Fallout. 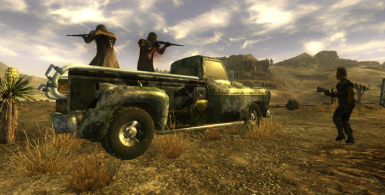 FOOK - New Vegas is an overhaul for the Fallout: New Vegas game. 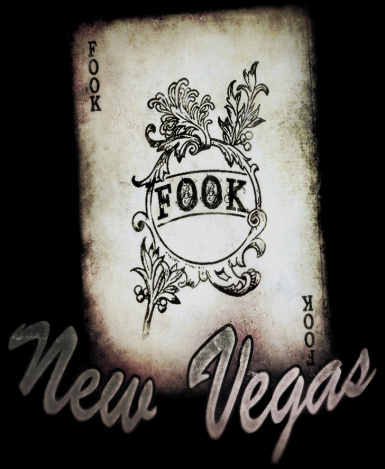 FOOK is a coherent and balanced overhaul, adding and fully integrating many bug fixes, new items, high quality retextures and gameplay features to the base game. 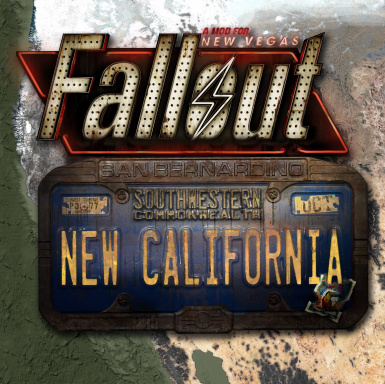 It also has full support for the Fallout: New Vegas DLCs. 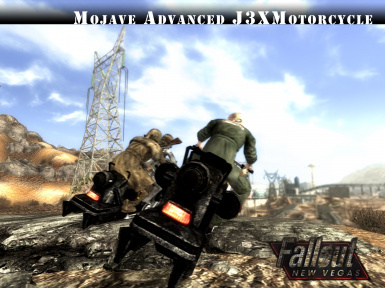 Improved FO3 J3xified Drivable Motorcycle. Ride with your companions. It's about time right? 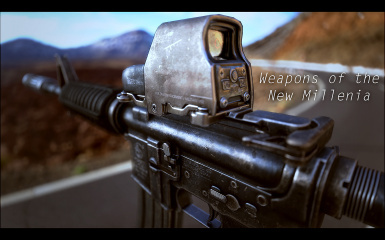 Replaces/adds a lot of 1st person weapon animations. 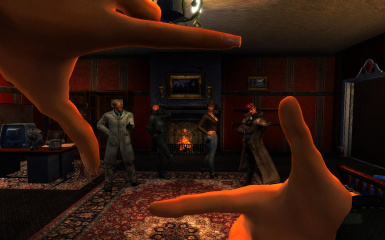 Port and update of the awesome Drayk_Cannon The Groovatron with functional NVSE options and more. Seamless smoking. No cumbersome extra menus or items. 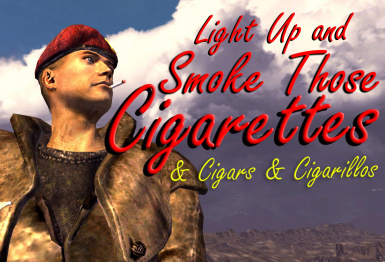 Simply click a cigarette (or cigar or cigarillo) in your inventory (just like you would with any other chem) to light it up and puff away! 2012-0102 updated! 3 types of biggun! 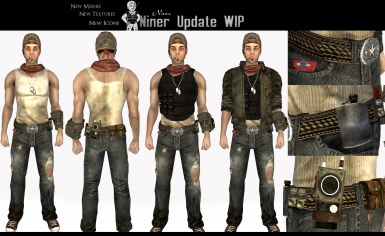 and old Fo3 items plugins!